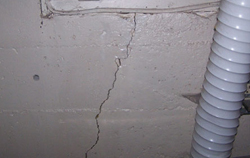 We have a list of things that we consider warning signs of foundation damage and foundation cracks are on that list. They don’t always mean foundation problems necessarily, but they can let in pests like termites, rodents, and ants. In addition to these pests, water can enter your home through a crack as small as 1/16 of an inch. Termites only need 1/64 of an inch to squeeze in and start infesting your home. The smallest cracks can start your foundation and structural problems, so it’s important that you have your foundation looked at by the professionals at a Tar Heel Foundation Solutions. 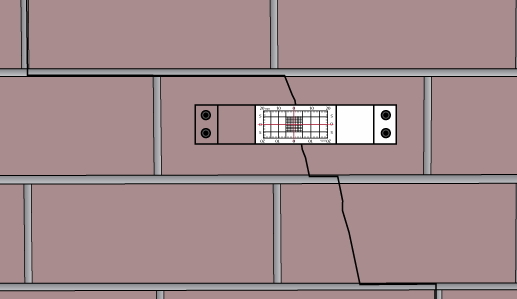 Cracks can be caused by foundation settlement, flooding, or other natural causes. We’ll inspect your home and determine the cause of the cracks and make a plan to stop the cracks from growing and getting to the root of the problem. We can’t emphasize enough how you should not take on foundation repairs by yourself. You may be tempted to go to your local hardware store or DIY store and get a can of epoxy or foam and filling in the crack itself. This may take care of the problem temporarily, but if you don’t take care of the cause of the crack, it will just get bigger. Most cracks are caused by soil pressure and so it will take professional expertise and equipment to reverse the effects. In some cases, piers may need to be installed to support the foundation. Give Tar Heel Foundation Solutions a call today for a free inspection and we’ll check out your property and work with you to implement a plan to seal the cracks, repair the cause, and stabilize your foundation. We look forward to hearing from you and begin restoring your home’s stability.